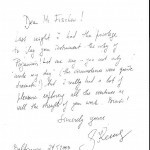 Last night I had the privilege to play your instrument – the copy of Paganini’s! Let me say – you not only made my day (the circumstances were quite dramatic! ), but I really had a lot of pleasure exploring all the overtones as well the strength of your work. Bravo! 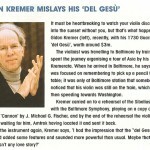 It must be heartbreaking to watch your violin disappear into the sunset without you, but that’s what happened to Gidon Kremer, recently, with his 1730 Guarneri ‘del Gesù’, worth around $3m. The violinist was travelling to Baltimore by train and spent the journey organising a tour of Asia by his group, Kremerata. When he arrived in Baltimore, he says that he was focused on remembering to pick up a pencil from the table; it was only at Baltimore station that somebody noticed that his violin was still on the train, which was by then speeding towards Washington. 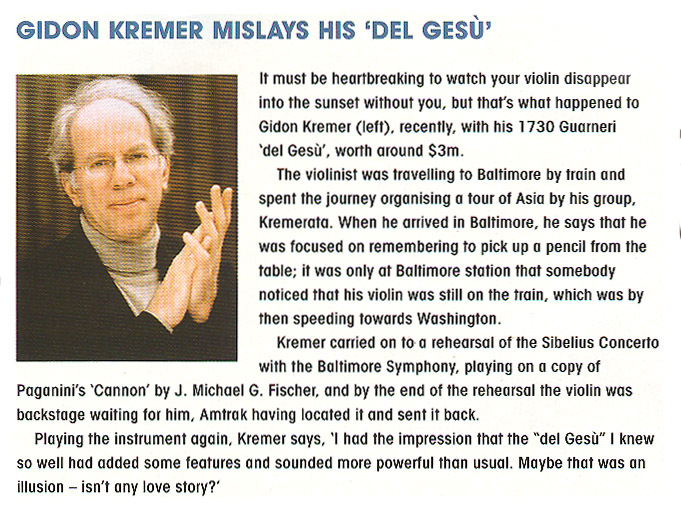 Kremer carried on to a rehearsal of the Sibelius Concerto with the Baltimore Symphony, playing on a copy of Paganini’s ‘Cannon’ by J. Michael G. Fischer, and by the end of the rehearsal the violin was backstage waiting for him, Amtrak having located it and sent it back. 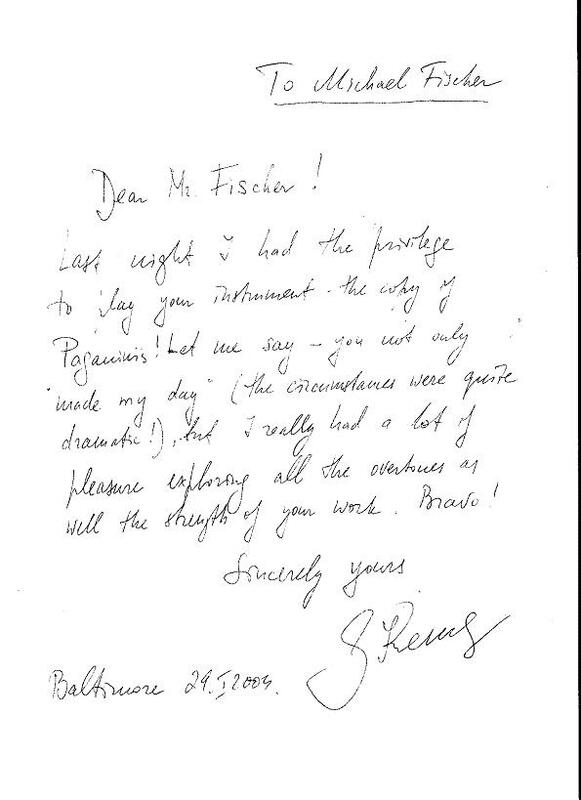 Just a note to tell you how much I enjoyed playing your violin which Mr. Feldman brought yesterday. It’s easily one of the best modern instruments I’ve tried. It has a wonderful quality of sound and is a treat to play. 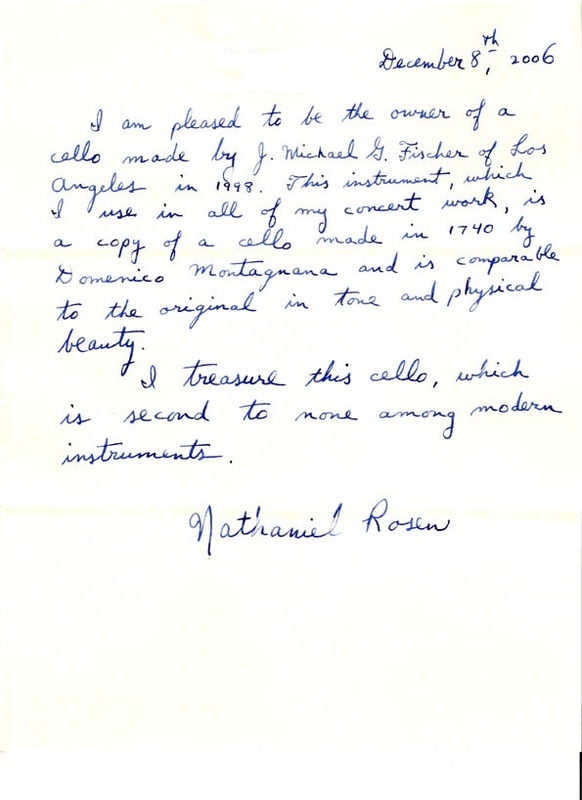 I am please to be the owner of a cello made by J. Michael G. Fischer of Los Angeles in 1998. This instrument, which I use in all of my concert work, is a copy of a cello made in 1740 by Domenico Montagnana and is comparable to the original in tone and physical beauty. I treasure this cello, which is second to none among modern instruments. 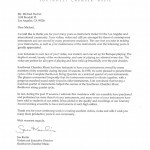 I would like to thank you for your many years as instrument maker for the Los Angeles and international community. Your violins, violas and cello are amongst the finest of contemporary instruments and are owned by many prominent musicians. 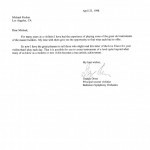 The care that you take in making your instruments, as well as your maintenance of the instruments over the following years, is greatly appreciated. I am fortunate to own two of your violas, one modern and one set up for Baroque playing. The depth of sound, beauty of the workmanship, and ease of playing are admired every day. The violas are perfect for all types of playing and have help up beautifully over the past decades. 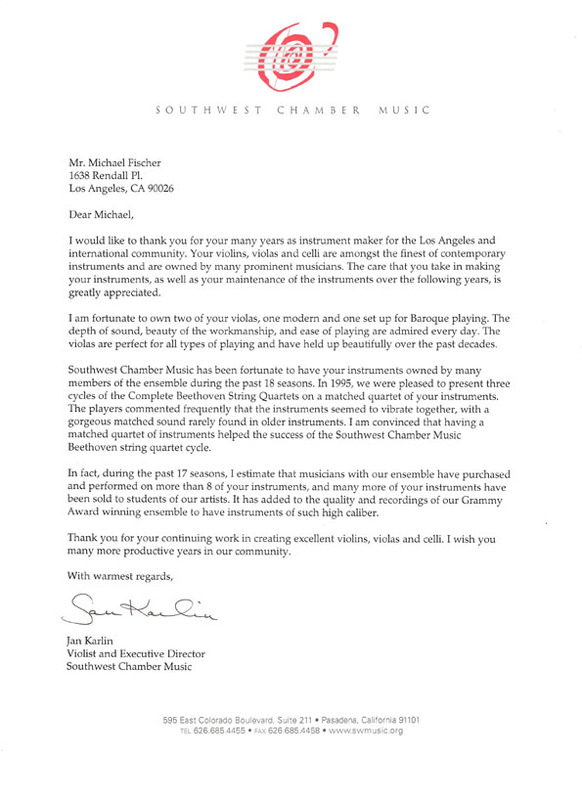 Southwest Chamber Music has been fortunate to have your instruments owned by many members of the ensemble during the past 18 seasons. In 1995, we were pleased to present three cycles of the Complete Beethoven String Quartets on a matched quartet of your instruments. The players commented frequently that the instruments seemed to vibrate together, with a gorgeous matched sound rarely found in older instruments. I am convinced that having a matched quartet of instruments helped the success of the Southwest Chamber Music Beethoven string quartet cycle. In fact, during the past 17 seasons, I estimate that musicians with our ensemble have purchased and performed on more than 8 of your instruments, and many more of your instruments have been sold to students of our artists. It has added to the quality and recordings of our Grammy Award winning ensemble to have instruments of such high caliber. 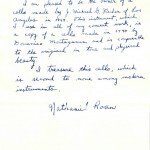 Thanks you for your continuing work in creating excellent violins, violas and cello. I wish you many more productive years in our community. 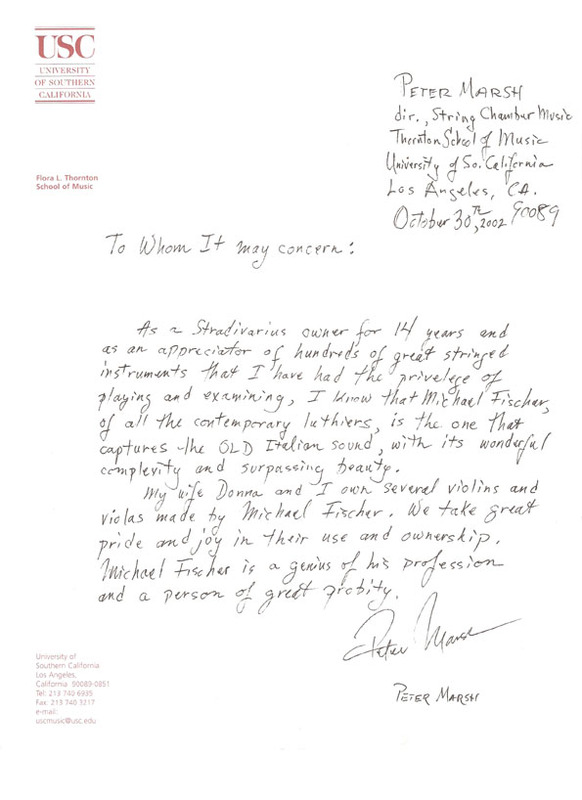 As a Stradivarius owner for 14 years and as an appreciator of hundreds of great stringed instruments that I have had the privilege of playing and examining, I know that Michael Fischer, of all the contemporary luthiers, is the one that captures the OLD Italian sound, with its wonderful complexity and surpassing beauty. My wife Donna and I own several violins and violas made by Michael Fischer. We take great pride and joy in their use and ownership. 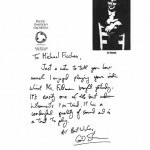 Michael Fischer is a genius of his profession and a person of great probity. 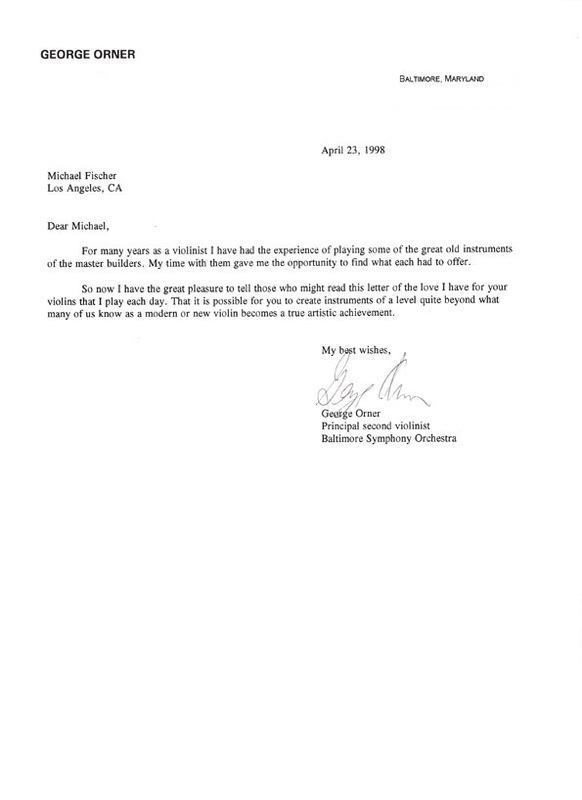 FROM GEORGE ORNER OF BALTIMORE SYM. ORCH. For many years as a violinist I have had the experience of playing some of the great old instruments of the master builders. My time with them gave me the opportunity to find what each had to offer. 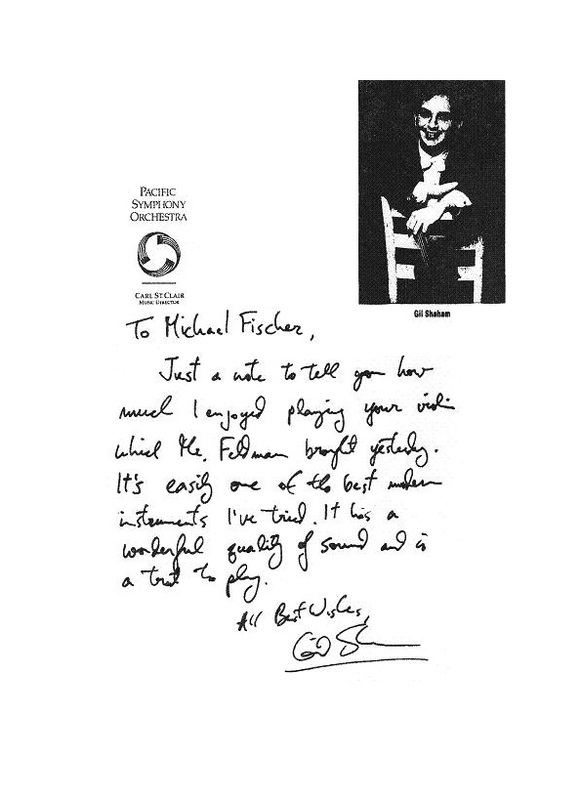 So now I have the great pleasure to tell those who might read this letter of the love I have for your violins that I play each day. 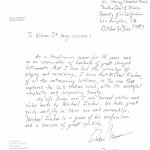 That it is possible for you to create instruments of a level quite beyond what many of us know as a modern or new violin becomes a true artistic achievement. I absolutely love Michael Fischer’s cello. Whether as soloist with orchestra, in chamber music, or leading a cello ensemble, the cello’s combination of power and poetry, its complex palette equips and inspires me to reach for the composer’s intentions.